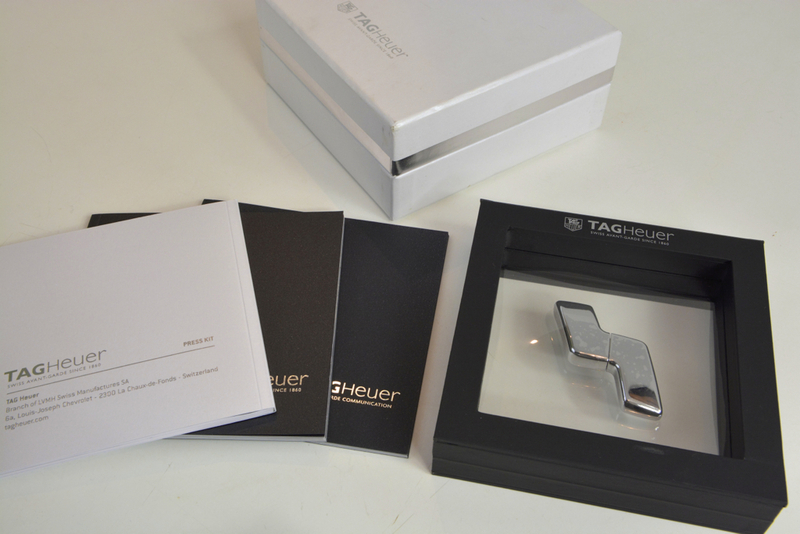 This is the Baselworld 2012 press kit from TAG-Heuer. 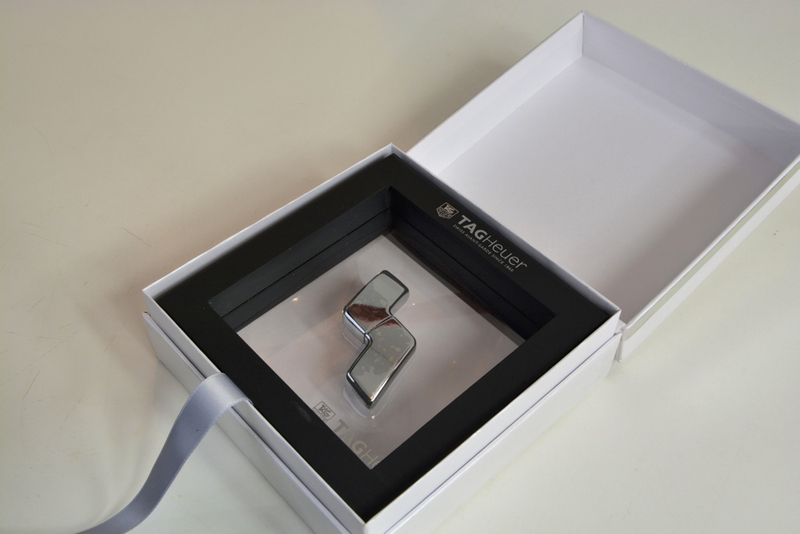 Supplied as a solid metal 4GB USB stick formed like a bracelet link, in a magnetically opened and closed 3D frame, and including printed material. Of course, the USB stick and frame can be used for other things as well. 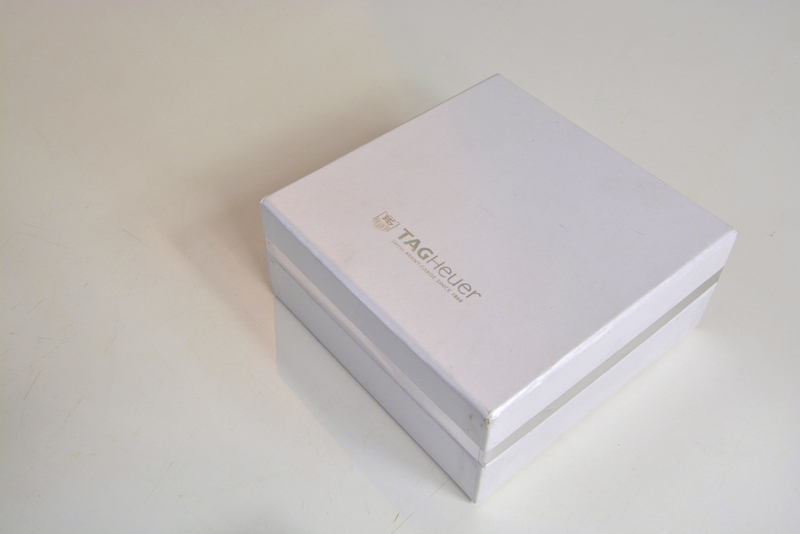 Packed in the original box.